Sweet Tarts--technically spelled SweeTARTS--have been a favorite candy for decades. 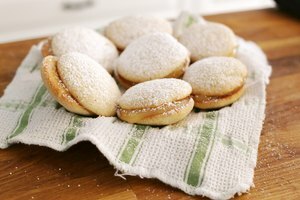 The small, tart and sweet confection has a well-established place at the center of the candy industry, and individuals are enjoying the candy now as much as they were 40 years ago. In 1926, a small company in Dundee, Oregon, began producing glazed and candied fruit. This business, the SweeTarts Company, obtained a U.S. patent in 1928 for selling stuffed, dried prunes under the trademark name "SweeTarts." Within a few years, the company expanded its base to sell toffee and chocolates as well. Sunline Inc., a candy company, began business in 1952 in St. Louis, Missouri. It sold powdered sweets for children, including products such as Pixy Stix and Lik-m-Aid. However, perhaps in a response to the messy nature of powdered candies, Sunline began to manufacture and distribute the powder in tablet form. In June 1963, despite the use of the name by another company, the name "SweeTART" was attached to the condensed discs, and the candies began to be distributed across the country. A lawsuit filed in June 1964 by SweeTarts Co. against Sunline resulted in the judge ruling in favor of Sunline. It was determined that the previous patent held for SweeTarts was invalid because of lack of use. Sunline began to sell SweeTARTS in individual packs of 12, packaged in foil and sold for about 5 cents a pack. A nationwide marketing campaign resulted in quick sales; in 1964, more than $8 million worth of SweeTARTS had been sold. Today, Nestle Co. has control of the SweeTARTS name, but it is operated under the Willy Wonka brand. It is still one of the most popular candies available. SweeTARTS were originally made in cherry, orange, grape, lime and lemon--the original flavors of Pixy Stix. However, in the 1990s, the company added tropical punch, the blue-colored SweeTARTS, to packages. The packaging for SweeTARTS has changed over the years, with designs reflecting new children's movies, upcoming holidays or special occasions. While SweeTARTS were originally made in small discs, later years saw the development of several different types of SweeTARTS. Today, varieties include Giant SweeTARTS, Chewy SweeTARTS, SweeTART Gel in a tube and Mini SweeTARTS. 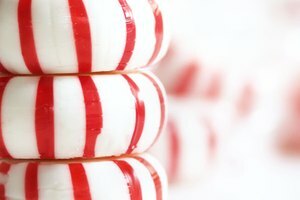 What Is the History of Peppermint Candy?